I hope you are doing incredible today. I hope you know that you are loved, cared for and seen. I honestly cannot believe it is already January of 2019. Time keeps passing and I keep hoping that it won’t. This season of my life is so beautiful and I want to savor every moment of it. I turned 27 this year and it truly blows my mind that I only have 3 years left in my 20’s. WHAT?!!! It is so crazy to think about. I want to make these 3 years count. I don’t know about you but I want to make an impact in 2019. I usually write down multiple new year’s resolutions but I feel like I’m behind this year. On new year’s day I scrolled through instagram and saw resolutions, goals and ambitions. I saw people taking down their Christmas decor and starting the new year fresh. I’ll let you in on a secret, as I type this I am currently staring at my Christmas tree. I swear it is laughing at me, saying something like “You know Christmas is over, right? !” YIKES, I feel behind. After I scrolled and scrolled and scrolled through Instagram I started feeling anxious about 2019, like my goals weren’t organized, big enough or worthy to be shared. After feeling anxious I decided it was time to get off of Instagram and reflect on what I want to accomplish this year. Friends, don’t let anyone tell you what your goals need to be. Sure, take advice from those around you, but ultimately they are YOUR goals. Get off of social media and truly find your own voice. If that means you need to take a break from instagram, DO IT. Find a quiet place, put on some worship music and LISTEN. Ask the Lord to speak to you and He will. Honestly, these two resolutions are turning into my life mantra. Obviously I want to keep my body healthy, travel more, invest in my marriage, etc. However, I want to make it my mission to truly know Jesus and His heart for my life and the people around me. I know that if I truly love Him and the people around me, everything else will fall into place. I am trying to write down my goals every morning so I am constantly reminding myself what I want to accomplish in 2019. PS- I don’t know about you, but I love writing down my goals in a nice journal. It makes everything much more official. It is also statistically proven that you are more likely to accomplish your goals if you write them down. 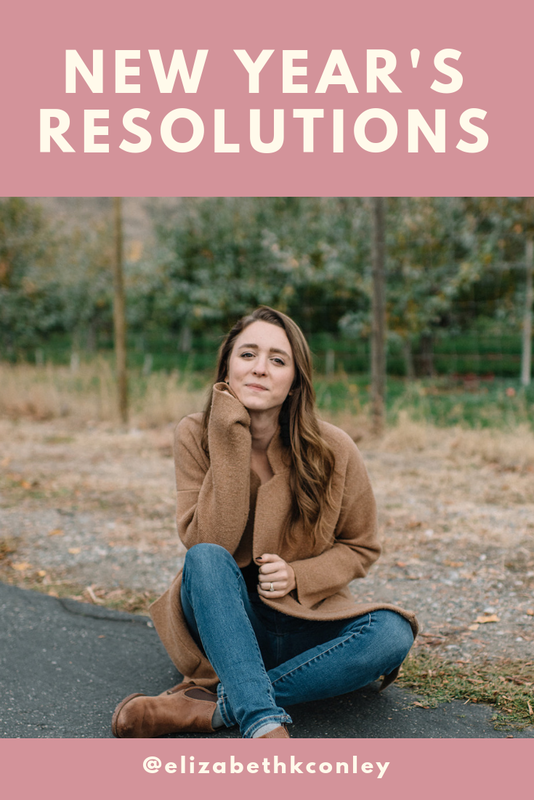 I hope this post inspires you to write down your own goals for this year and feel free to share them! I would LOVE to hear from you.